Have you ever wanted to go somewhere badly but you didn’t know how to get there or what you would find? 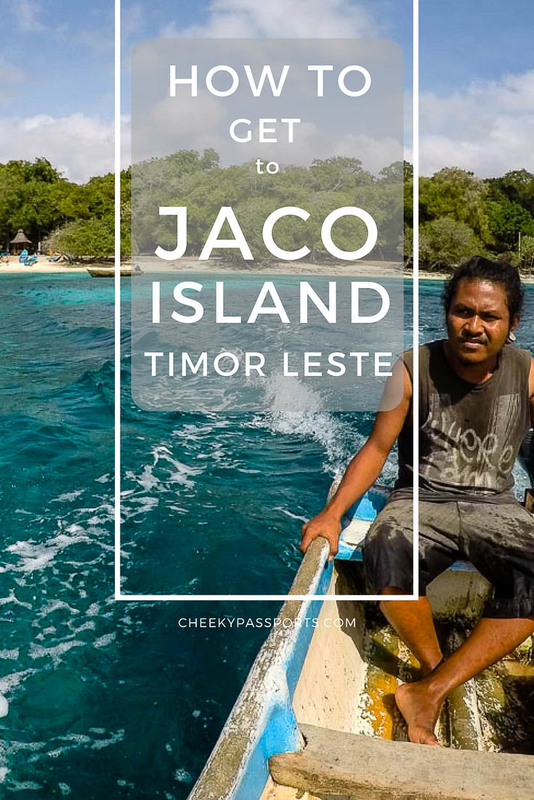 We had heard about the allure of Jaco island before we arrived in Timor Leste or East Timor, a small sacred island of almost mythical beauty. 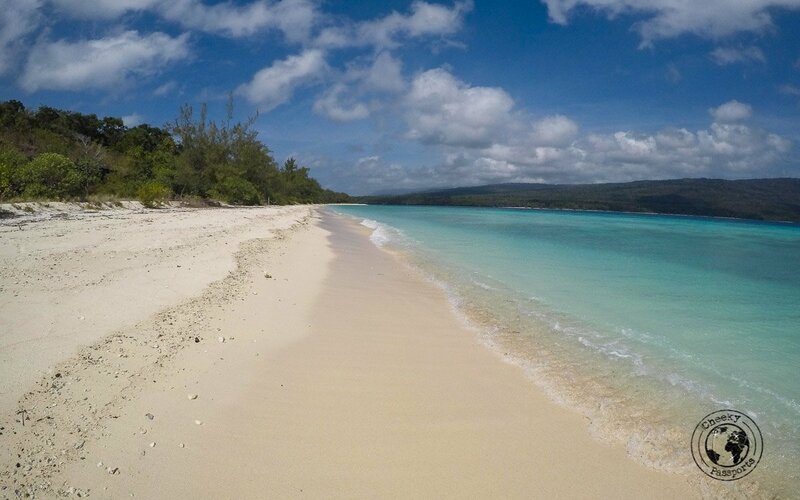 The few people who had made it to Jaco island in East Timor described empty white sands and gorgeous waters with great snorkelling opportunities. The problem it seemed, was getting there. We could hire a car from Dili which would cost us over $100/day, a sum we would never afford whilst travelling full-time on a relatively tight budget. We could also just “wing it” and try getting to Jaco island without knowing how or when we would arrive. 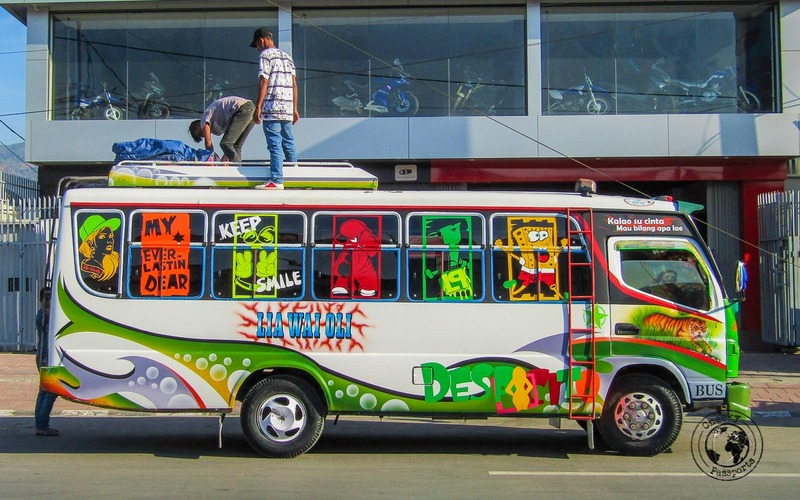 Timor Leste has a very sporadic and unreliable system of public transportation. Buses might or might not run, minivans, bemos, public trucks… they exist in some form or another, but nobody knew or could give us any information about schedules and locations or destinations! Having trouble booking flights to Dili? Try using Nusatrip! 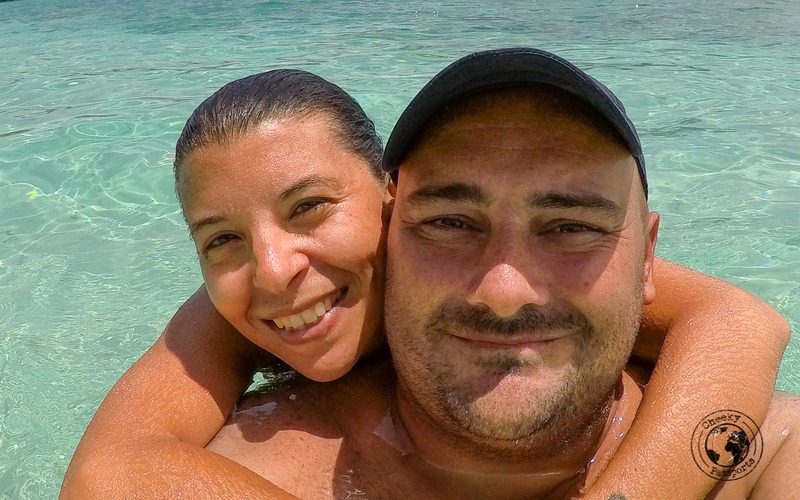 Getting to Jaco Island on a budget is not easy but worth every effort! We were carrying quite a lot of luggage. We knew that the last part of the journey involved hiking a few kilometres and there was no way we could do that with all our bags. Would we find somewhere to leave our stuff for a few days? 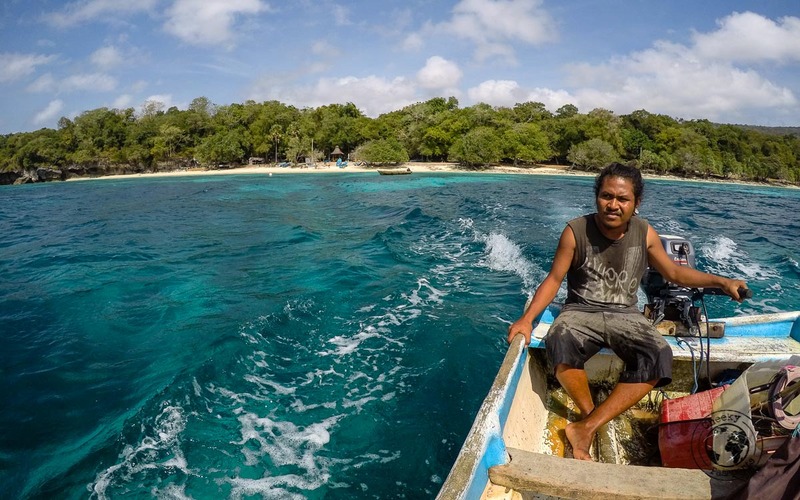 We figured that we had enough time and that we were adventurous enough, to attempt getting to Jaco island in East Timor via a combination of public transport and hitchhiking, and that if we got stuck somewhere on the way, we could always head back. 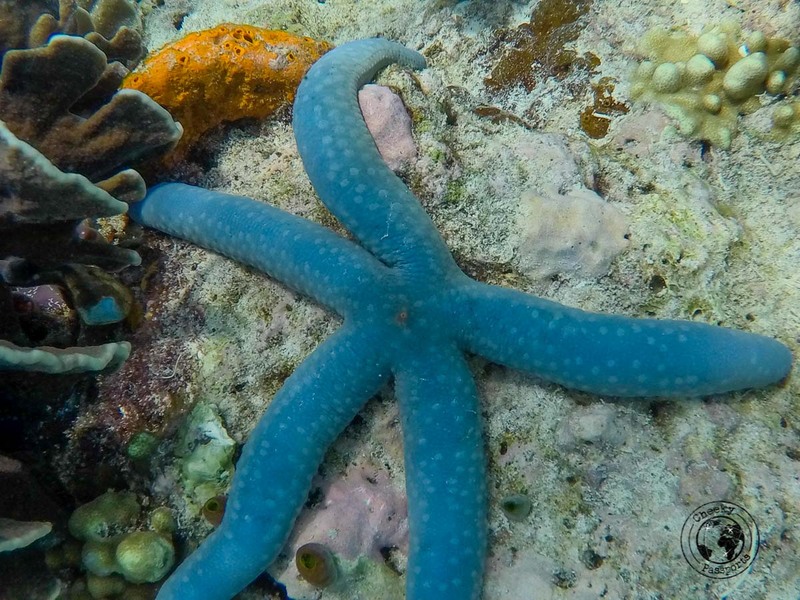 It was all worthwhile, as make it to Jaco Island we did …. and here’s our guide explaining how you can too! 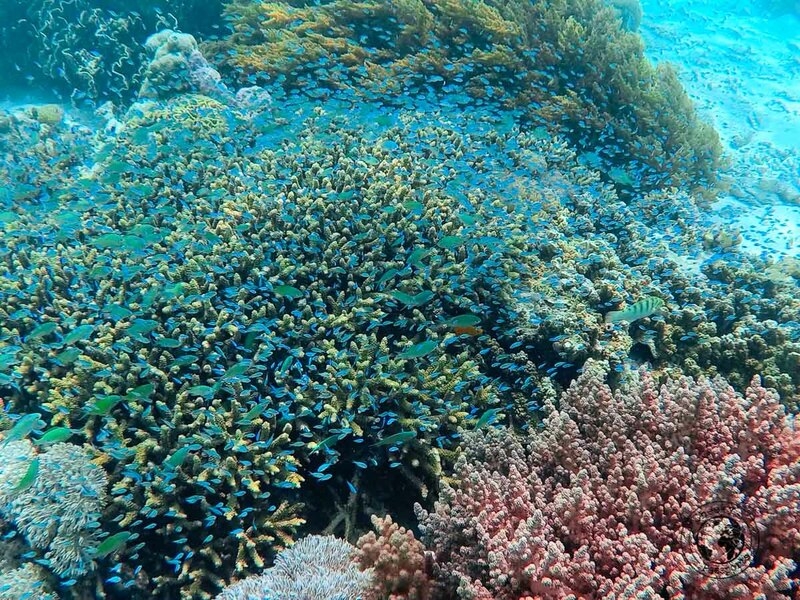 Snorkelling around Jaco Island is worth your while! The first part of our journey was surely one of the most stressful! We took a taxi from our hotel in Dili to nearby Becora Bus station just outside the city centre for a cost of $2. You can also use a mikrolet to get there (at a cost of $0.25 each) but because of our bulky luggage we didn’t really consider this option. This is where you really need to be careful and alert. Once we arrived at the bus station, we were bombarded by seemingly half the people at the station. All the touts and drivers that were there ran behind our taxi as it was still moving. They even opened the luggage compartment and stared pulling out our bags, in an attempt to secure our ticket for the trip! This is where Nikki and I shared duties. We were lucky to be travelling as a couple, as I secured the hand luggage (with our most valued possessions), whilst Nikki rushed outside of the taxi to scare the ‘porters’ away from our main luggage, which at the time was still in the luggage compartment of the moving taxi. We ran out screaming and yelling for them to leave our stuff alone, grabbed it and held on to it as they started to push and pull us towards their buses – push and pull is quite literal here! They were quite aggressive but at the same time it was almost comical seeing four little men pulling at Nikki as though he were some kind of doll. At one point they literally barricaded our path and would not let us pass at all! Good thing Nikki is large! Finally, two of the men started arguing about who should take us, and a crowd of about 50 people gathered around to watch. Much to the delight of the onlookers, as the attention was diverted to the fight (of which we were the subject) we managed to sneak off and run away. We climbed onto a bus with a “Baucau” sign on it, owned by one of less insistent drivers, which already had some passengers on (one of which was a rooster tied to a rubber tyre), and sat down with some relief. The bus took off some 45 minutes later. Buses take off once they are full so be sure to find one which already contains passengers. The journey to Baucau is 100km long, but takes about 4.5 hours and cost us $4 each. Our bus was jam-packed with people and livestock, with many of them (people as well as livestock) riding on the roof of the bus for the whole journey. Road conditions were abysmal. 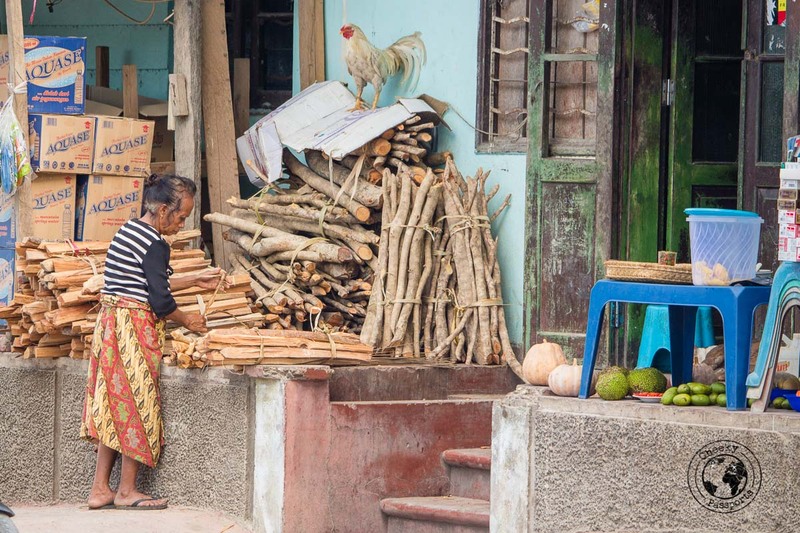 It was the dustiest bus journey that I have ever been on, and when we finally arrived in Baucau, my hair was matted with dirt and our clothes and luggage had a thick layer of dust and grime. Sporadic parts of the roads appeared to be having some work done upon them when we made the journey, hence the high concentration of fine particles, however we had been told that it had been that way for quite a while. The people on the roof were white from head to toe! We had been told that if you ask nicely, the driver might take you to the ‘Old Town’ part of Baucau where our guesthouse was, but apparently we didn’t ask nicely enough because the bus stopped us at a market in the “New Town” part of Baucau, so we had to find our way to the guesthouse. There didn’t seem to be any public mikrolets headed there but a driver offered us a “private” transfer in his vehicle for $5. Had we waited, we would have probably found a public mikrolet (marked A1, A2 and A3) but we were dying to just check in and gain access to a shower, so at that point we negotiated the price down to $2 and accepted the ride. 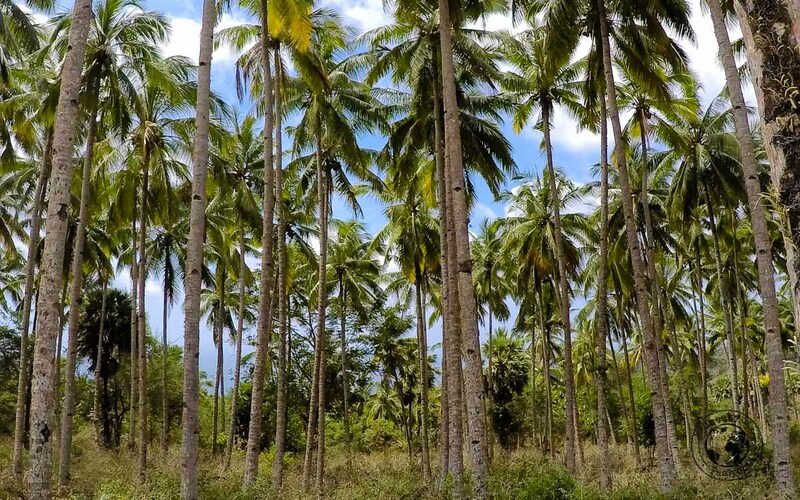 The scenery around Baucau is stunning! We spent two nights in Baucau but if you’re tight on time, it is very possible to spend one night only. 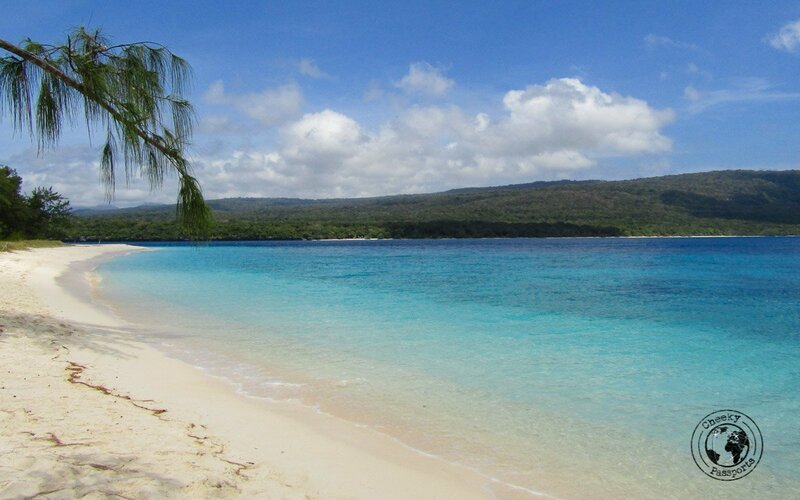 It is also possible to skip Baucau and head directly from Dili to Lospalos on the same day. Buses in Dili going to Lospalos can be found at the Becora bus station and the journey is about 10 hours long and costs $8 per person. 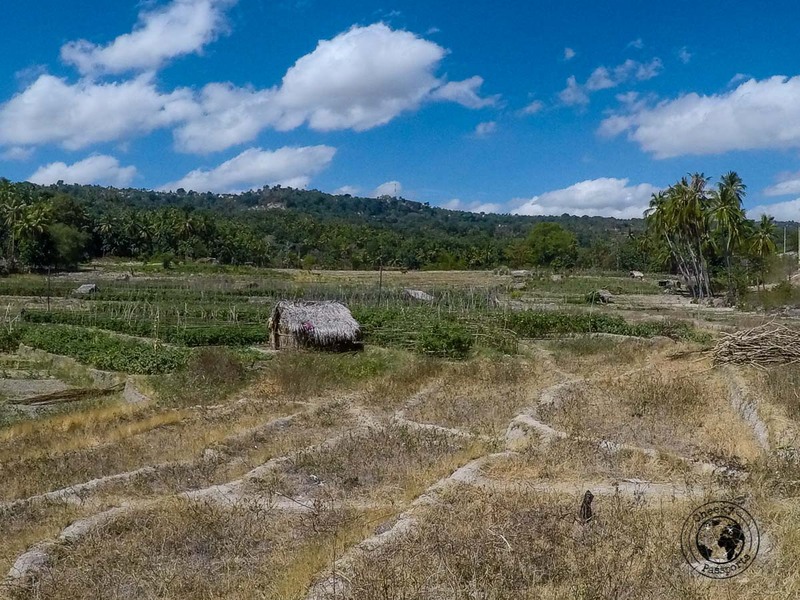 More about Baucau in a separate post. If you want to stop in Baucau (like we did) rather than going all the way from Dili directly to Lospalos, you need to get a bus from Baucau to Lospalos after your stop in Baucau. Buses pass by the big banyan tree in front of Pousada Baucau near the market and this is where you should wait for them. We asked several people regarding the timing of the bus to Dili and as with all schedules in Timor Leste, we got a vast range of answers. We were told to be there at 7am, at 8.30am, some told us at 9am, and others told us not to go before 10am. We therefore made our way there at 7.30am (random time coordinated with our breakfast) to be sure of getting a place. Many people seemed to be waiting for the bus and we wondered how we would all get on the same one. By 9am, there was still no sign of the bus but a mikrolet passed by the tree asking if there were any people wanting to go to Lospalos. People seemed hesitant to get on and we really weren’t sure what we should be doing. The asking price for the journey to Lospalos was $4 per person which was the same price as the bus journey. Sure, the journey would be more uncomfortable, but with no sign of the bus we didn’t understand why the other people did not leap at the mikrolet opportunity. We decided to take the plunge and go on the mikrolet. As soon as we boarded, everyone else became interested. We got the feeling that we would be subsidising everybody else’s journey…. but oh well, at least the price seemed fair, and we weren’t paying any more than we had budgeted for originally. More about Lospalos in a separate post. 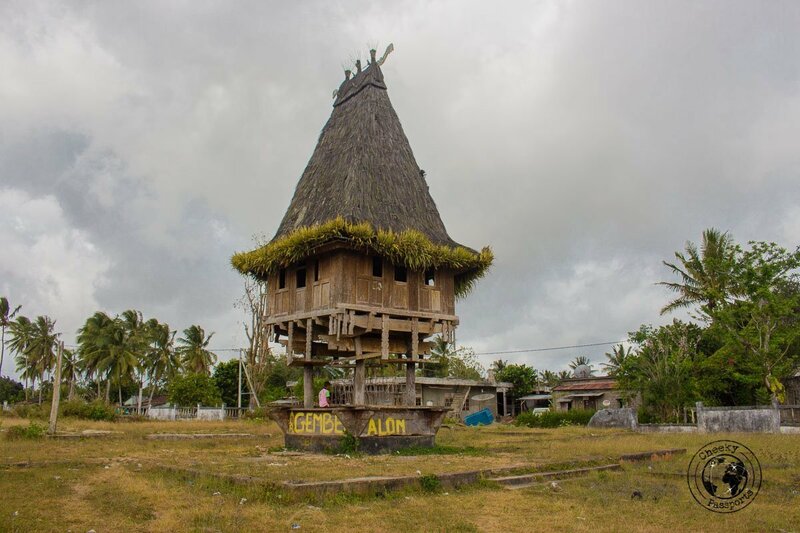 Tutuala is a village in the extreme east of Timor Leste and this is where you should stop before making your way down to Valu Beach, the stepping stone to Jaco island, East Timor. We spent our time in Lospalos trying to figure out how to get to Tutuala the following day but nobody could be sure of any form of transportation going that way. People generally advised us to stay on one side of the road and flag down a passing vehicle headed there. The owner of Roberto Carlos Hotel allowed us to leave the bulk of our luggage at the hotel at no extra charge once we confirmed that we would be coming back to spend one more night at the hotel after having been to Jaco Island. He also told us that the following day was Saturday, a market day in Lospalos and several people from Tutuala would come over to sell their produce and would need to get back to their village. He assumed that some form of transportation would be available as long as we were at the market (5 minutes away from the hotel) before 9am. Very kindly accompanied by the Roberto Carlos Hotel owner, the next day we made our way to the market at 8.30am but it seemed that most transportation to Tutuala had already departed. We were told that the market in Lospalos opens up at 3am! We waited, hoping for some form of transportation, until someone offered us a lift for $40. Having pretty much run out of options, we were tempted to take it had the price been negotiable (we had set a maximum budget of $25) but the driver would not budge. Luckily for us, a mikrolet which seemed to be headed to Tutuala came along and we managed to get on it without further ado. The 1-2 hour journey took about 4 hours because the driver spent a lot of time looking for other passengers in Lospalos wanting to go to Tutuala. We were not sure about the price of the journey on the microlet and to avoid being ripped off we offered the driver $4 for the both of us which we thought was fair. He seemed happy with that! Happy to have arrived on Jaco Island! 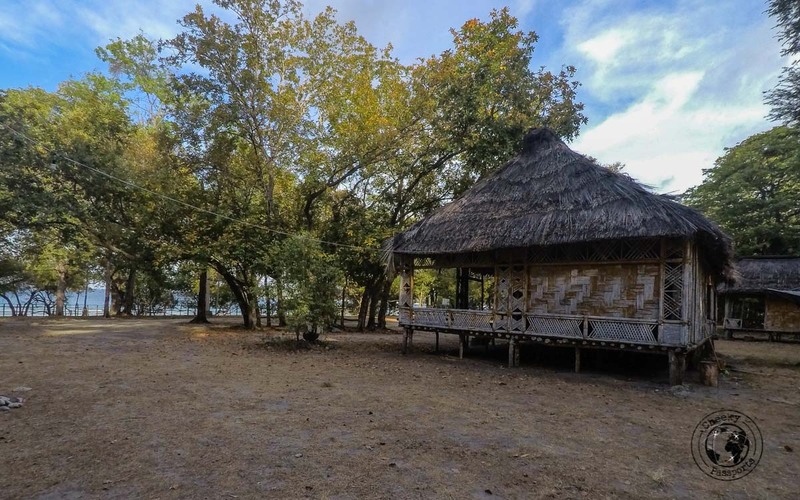 It is not possible to sleep on Jaco Island in Timor Leste since it is considered to be sacred by the locals so your only option is to sleep on Valu beach right opposite. This is also from where you can get a boat to Jaco Island. 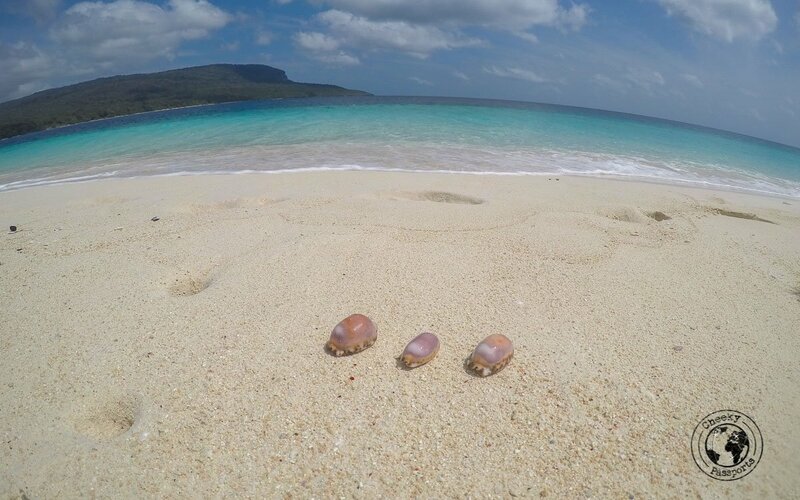 White sands and many seashells on empty beaches best describes Jaco Island! 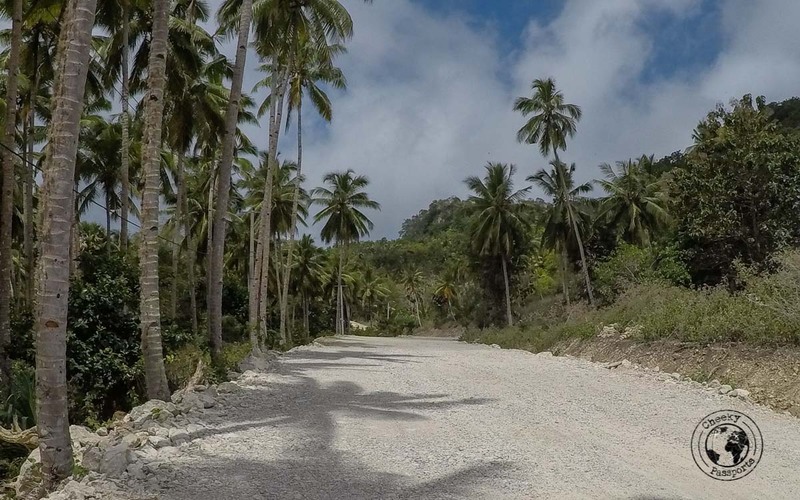 The little information available online state that we would need to walk down 8km from Tutuala to Valu Beach, Easy right? Not so… the path to Valu Beach is full of downhills and uphills ending with a steep downhill track, and we found walking those 8km to be quite tough! We hoped against hope that some vehicle would pass by and give us a lift but no such luck – we walked all the way! Despite having left most of our luggage in Lospalos our bags were still quite heavy especially since we were carrying our laptops, cameras and electronics which we refuse to leave in storage. Thankfully we were carrying enough water to see us through. 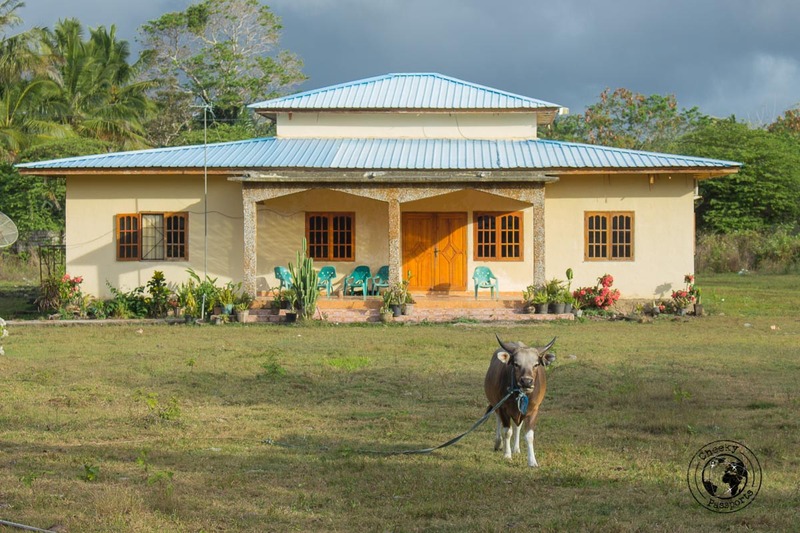 We shuddered at the thought of having to trek all the way back, but we had heard somewhere that the owner of Lakumorre Guesthouse on Valu Beach would organise transport to Lospalos for $20 per person. After experiencing the road one-way, we were more than happy to pay that much to avoid trekking back to Tutuala! On the way to Valu Beach we met a local man who was also walking down and told us that he was from the “Co-Operativa”, a co-operative of local villagers who organised accommodation on the beach (we believe the correct name to be Valu-Sere Eco-accommodation). We had already decided that this is in fact where we would like to base ourselves (it was either that or Lakumorre Guesthouse which is more expensive) so we allowed him to walk with us and show us the way. We had originally already ‘booked’ a room at the co-operative by phone (+67077039838), but never found out whose phone number that was, and the locals there didn’t seem be expecting our arrival either. Different families take the running of the accommodation in weekly shifts, and I suspect that coordination between them is not particularly great. 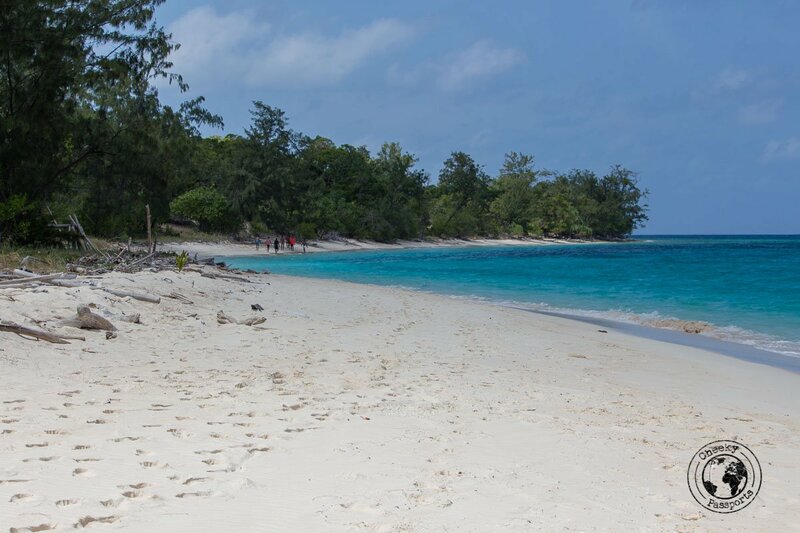 The beach consists of white sand with two very basic accommodation options (Lakumorre and the co-operative guesthouse) and some fishermen’s boats. We decided to stay at the accommodation provided by the local co-operative for $20/night. Food cannot be bought on the beach so the only option is to have your meals cooked at the guesthouse. The cost was $5/dinner (per person) and $2/breakfast. Water can be bought from the guesthouse at $1.50/bottle which is a truly expensive but necessary expense. The wooden cabins are pretty, but small and basic consisting of a mattress with a mosquito net, a mirror and some drawers which is anyway all that you need to stay on the beach for a few nights. They are pretty much open to surroundings, so expect to be accompanied by a fine selection of the endemic insect population of the area. Our worry was that these open huts can be broken into and do not lock (we were carrying all our expensive electronics) so we really do suggest that you leave your expensive stuff behind if possible … still would you leave your passport, credit cards and electronics in another town? We were not comfortable doing that, so we brought them along and locked them up in our bags, tying them to the cabin’s fixed structure as best as we could. There are 2 common toilet/shower rooms and one extra shower room in the guesthouse grounds. There’s only one tap with running water in every shower room so you need to use a bucket to flush the toilet or take a shower (mandi-style). Having used similar facilities in Indonesia, this did not pose any sort of discomfort, and the cubicles where cleaned regularly. There were only 5 people on Jaco Island! 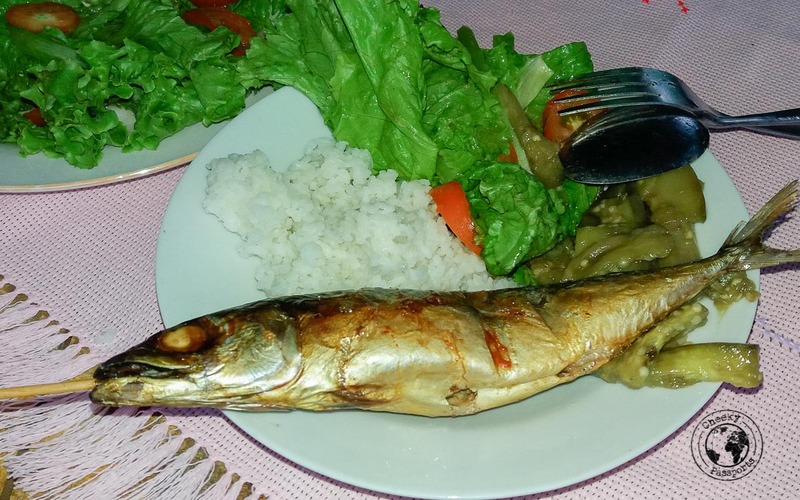 All the meals we had at the guesthouse were very fresh and tasty and consisted of rice, freshly grilled fish and one or two types of vegetable dishes. The aubergine dish in particular was to die for! Breakfast was banana fritters one time and fried bananas with boiled sticky yam and spicy algae in garlic another time. We had never tasted algae before … an acquired taste we must say! 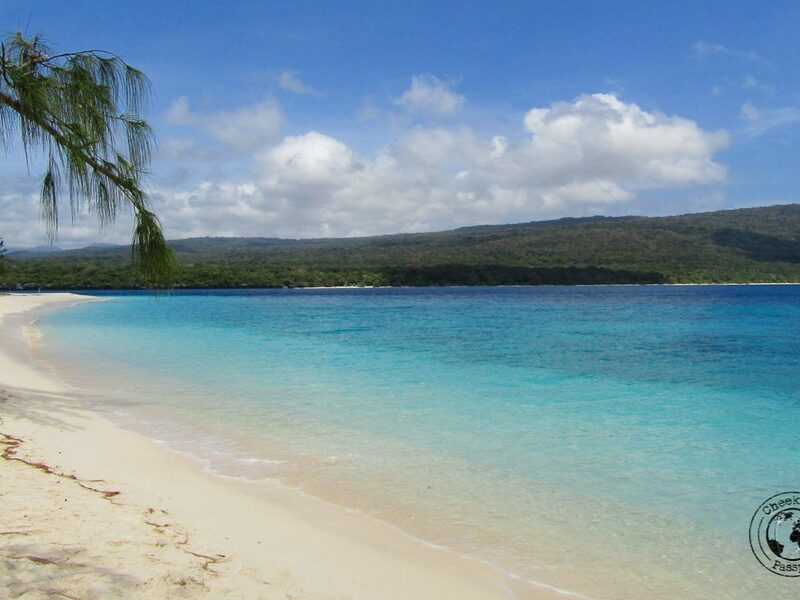 Valu Beach with Jaco Island right across – hoping to make the crossing! So…. 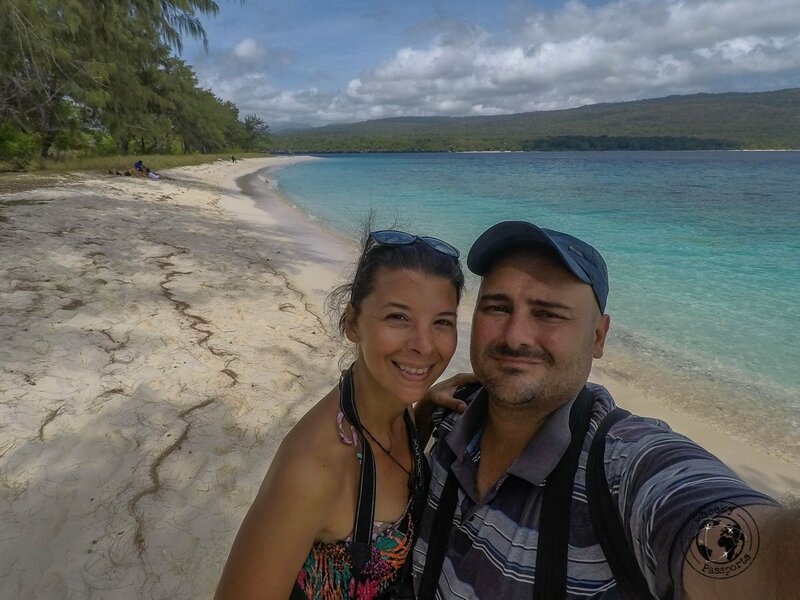 we were finally sleeping right in front of Jaco Island in East Timor and couldn’t wait to spend some time there! There are no ferries to Jaco Island but fishermen will gladly take you there and come back for you at a pre-arranged time for $10 per person. On the day we arrived we were told that due to the very strong current that day and no boats had attempted the crossing so we hoped that the sea conditions would be better the following day. Without knowing exactly how we would go back to Dili, we did not wish to spend too many days on the beach (though it would have been very easy to do so). We woke up to sunny blue skies and calm seas which augured well. We could see that the Italian guy staying at our same guesthouse had already made the crossing so we took our time and explored Valu Beach before heading over to the fishermen’s corner to ask for a lift. As we approached Jaco island, we realised exactly why the island was said to be so beautiful (looking at it from afar, we had not yet been captivated in any way). Blue-green seas gave way to crystal-clear turquoise waters which seemed unreal, as palm trees lining the whitest, cleanest sands swayed gently in the breeze. The few people on Jaco island were local day-trippers who had come from other parts of the country to spend some time on the island. There were perhaps five people on the whole island and getting a beach all to ourselves was very easy! We placed our stuff under the shade of some trees and splashed right into the cool waters. Finally in the waters around Jaco Island! We spent most of the day reading under the shade of the palm trees and snorkelling around the clear waters (using a mask we borrowed from the Italian guy). 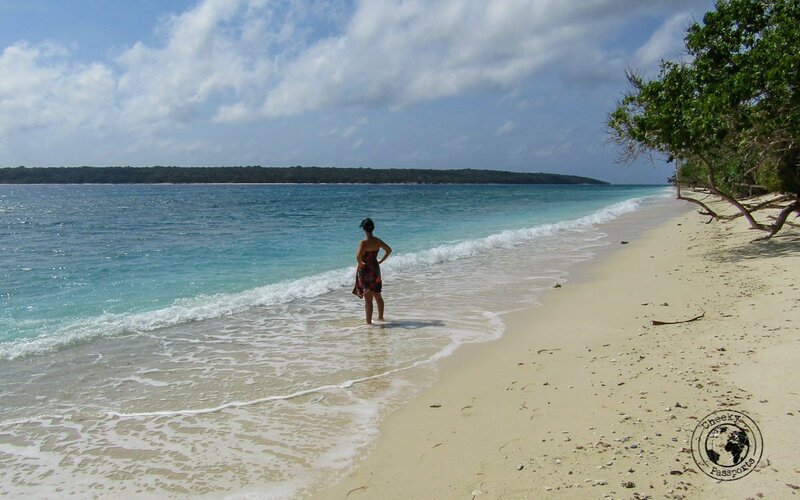 There are absolutely no facilities on Jaco island, so you need to bring water, food and a snorkelling mask with you. Water can be bought from Valu Beach. Anything else needs to be brought over from the other towns in Timor Leste. We could not find a mask and snorkel to buy in either Dili or any of the other towns we visited, so your best bet is to get one from outside of Timor Leste! 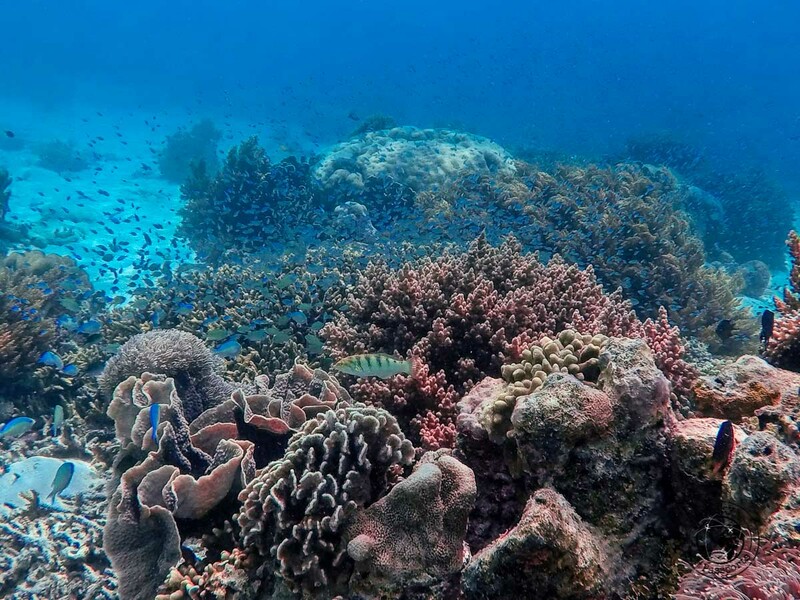 The underwater world around Jaco Island is quite fascinating! Two sets of caves can be found down the path leading from Tutuala to Valu Beach. One is located at a distance of 2km away from the beach whilst the other is about 1km uphill from the beach on the same path. 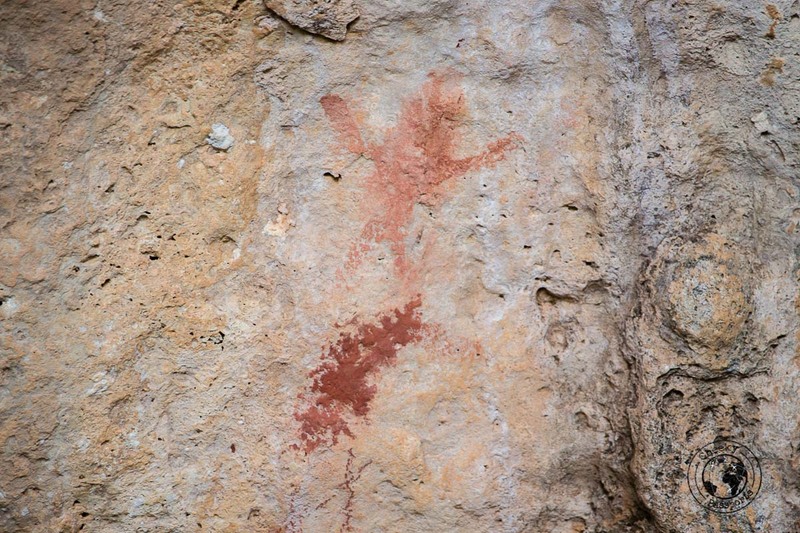 We really wanted to visit both, however we were tired and we could not bring ourselves to trek 2km uphill, so we visited only the closer caves. A sign on one side of the path points towards a smaller path leading to the caves. Quite frankly we did not think much of this set of caves, but we were told that the others are larger and more interesting. Note that in this region (Valu Beach and Jaco Island in Timor Leste) there is no mobile phone or data connection other than a weak signal by Timor Telecom (not to be confused with competing Telcomcel). This is also true for Tutuala where a random signal sometimes appears. We found out that Telkomsel (the Indonesian not the Timor Leste one) had a semi-signal, but we had left our sim cards with our main luggage and couldn’t try that out. Jaco Island is really remote! Despite the owner of Lakumorre guesthouse confirming that he would take us to Lospalos in a truck, he was nowhere to be found on the day we were set to go, much to our disappointment. It was hard to prepare ourselves mentally for the long climb up as we set off. Much to our surprise, the way up took 2.5 hours, only 30 minutes longer than the way “down”. Our greatest worry at this point was finding transportation from Tutuala to Lospalos. The French woman at our guesthouse had heard that there should be a mikrolet from Tutuala to Lospalos at 2pm and another at 5pm but knowing how unreliable these schedules were, we were not convinced that we would find a way of getting to Lospalos that day. 5 minutes before we arrived in Tutuala (having managed to trek all the way up), a guy in a 4×4 stopped to ask us whether we wanted to go to Lospalos. He offered us a lift and when we asked the price for his service, he appeared embarrassed and insisted that he did not want payment in any form. We couldn’t believe that we had suddenly got so lucky. 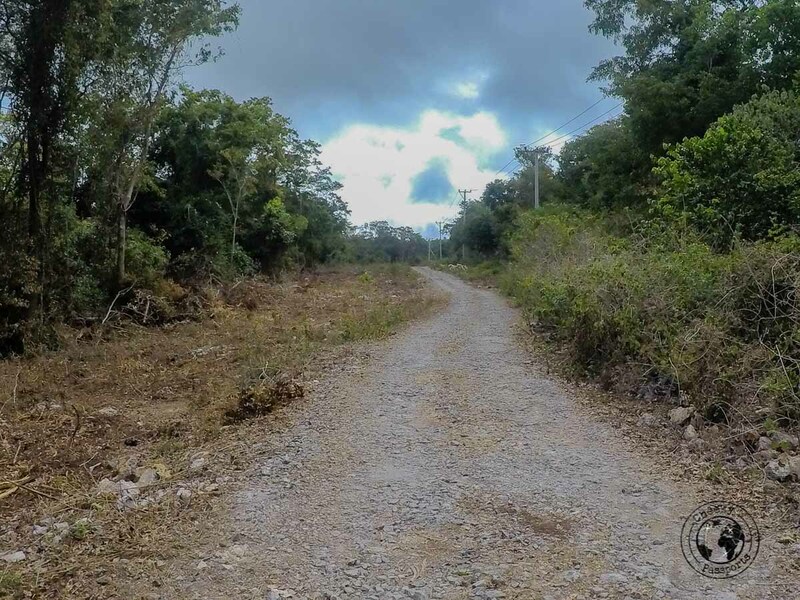 The path back to Tutuala – 8km of uphill and downhill struggles! Even though we had endured the 8km trek us to Tutuala, we would be on our way to Lospalos in no time at all. As a token of gratitude, we gifted him with a $10 note when we got to Lospalos, hoping that this would not in any way offend him. As soon as we got to Lospalos, we went in search of a bus with a “Dili” sign to try inform a driver that we wanted to book the bus for the following day! This actually “worked” in that he jotted down our names and telephone numbers for transportation the following day and told us to be ready in front of our hotel at 4am (*shock, horror*) the following day. His number was +67075814794, just in case it could turn out to be useful to some. It was chilly at 4am! And we waited and waited until we got a call at around 4.45am informing us that the driver would be coming to pick us up. We were picked up a few minutes later and spent some time going around Lospalos picking other people up until the bus was full and we finally set off to Dili. The 9-hour bus was…. well… long but not as bad as we had mentally imagined it would be, and we were happy to be on the last leg of our journey back to Dili! Once we alighted at Becora bus station, we found a taxi to take us back to our Dili guesthouse. Jaco Island has made it on our list of favourite islands! The journey to Jaco island and back and our stay on Valu Beach lasted 6 nights and transport cost us $25 per person (way cheaper than a $100/day rental car!). We could have shortened it by going straight from Dili to Lospalos and skipping Baucau, or visiting Baucau on our return leg instead, but we felt that we wanted to take a look around town, as well as split up the first part of the journey, which was a good thing because we really enjoyed our time in Baucau! 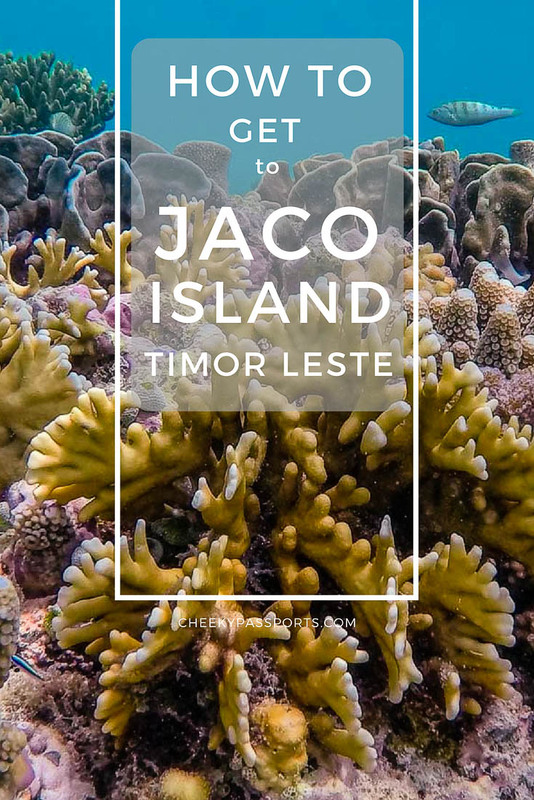 If you are planning on going to Jaco Island in East Timor along this route, do be sure to have enough time available and be ready to be make alternative plans! We were very lucky most times to find transportation options on the days we wanted to travel, however this is not always guaranteed! Great realistic informative text about your journey. I couldn’t have done it this way but I praise your adventurous, patient nature. Fantastic.